I was introduced to this stall some years back by a friend. And it was until then did I realised bak chor mee served in soup can taste so delicious ! 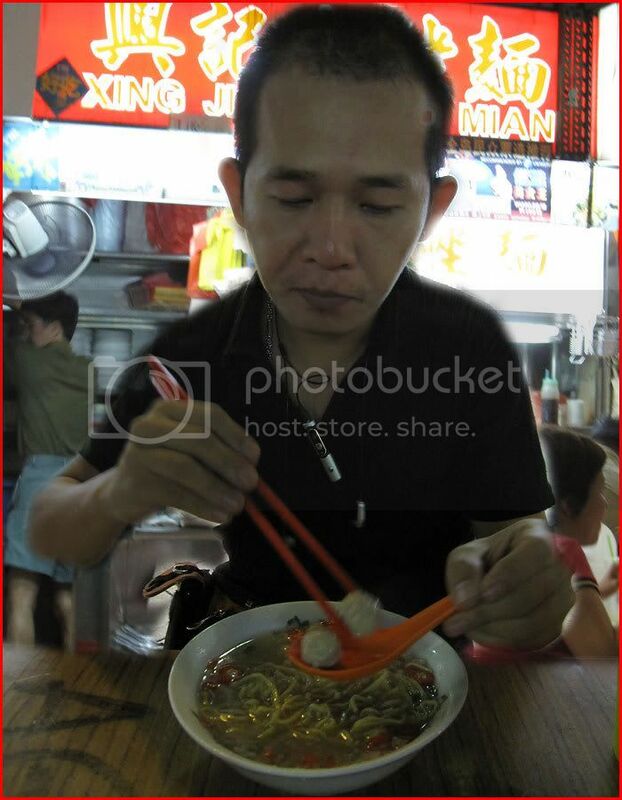 No dry bak chor mee here, ONLY soup version. So all the stall assistant will ask you is ..."how many bowls?" and "table number ? ". There are two stalls side by side each other, both with red signboard and lots of news paper cuttings decorating the stall's front. 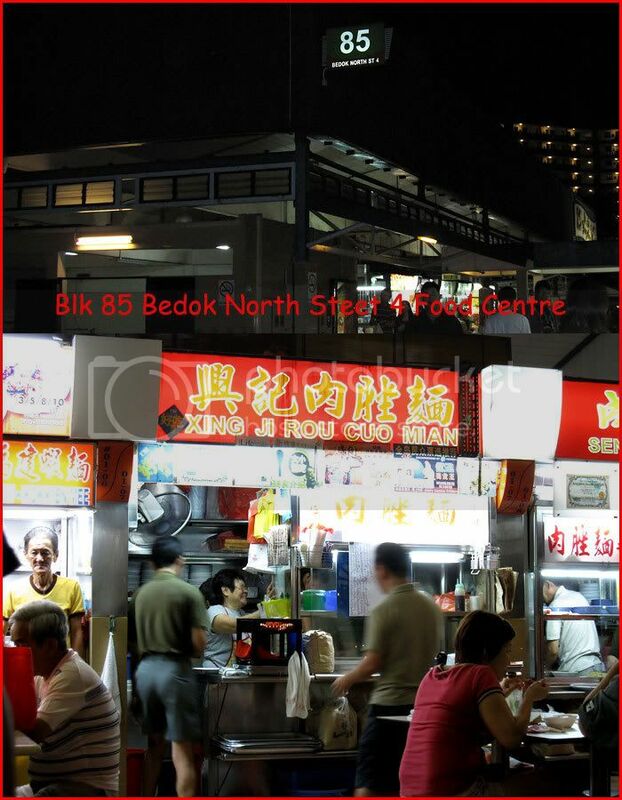 Which is the famous bak chor mee ? 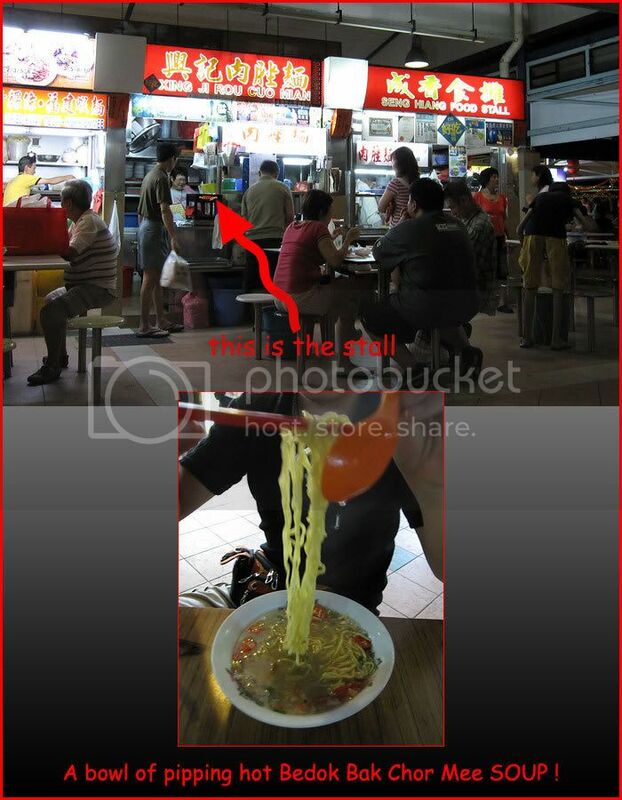 Xing Ji which serves only soup version is the famous Bedok Bak Chor Mee. When the queue gets too long or if patrons want the dry version, the next stall is the answer. 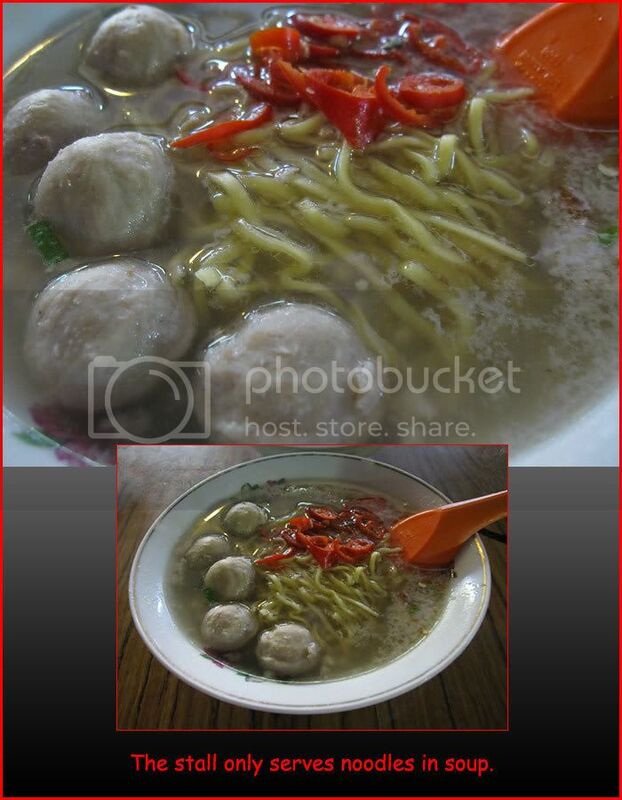 Served in a small porcelain bowl filled with mouth watering noodles well soaked in the soup with lotsa minced meat. The noodles are so well-cooked that they retain their springy texture even in the superb hot soup which is consistently good. and a couple of meatballs topped with freshly cut chilli. Nothing special about this noodle in soup but once you have tried it ... you'll keep going back for more. Actually the Real Stall move to 3rd Roll of 85 market around 2years back. Same having "Red Signboard", sell only Soup. Was there last last weekend but all closed !